With a claimed minimum weight of just 335 grams, the Fall Line R dropper post from 9point8 is coming to the market as the lightest dropper post available. Compare that to the current lightest post on offer from KS – the LEV C, which uses a carbon outer post and has a claimed weight of 452-466gm claimed weight. In the case of the Fall Line R however, this bad boy is all-alloy. The 9point8 Fall Line R is claimed to be the lightest dropper post in the world. Like 9point8’s other dropper posts, the Fall Line R is built in its Ontario facility in Canada.The post is available in either 75mm drop or 125mm drop versions. 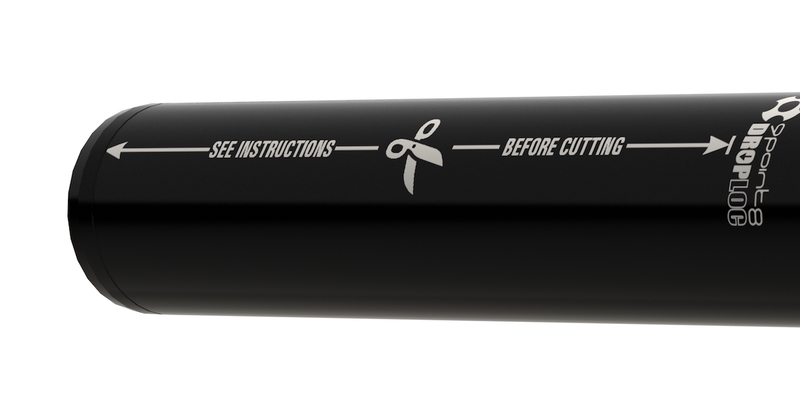 In order to bring the weight down, the shorter 75mm drop post can be chopped down, just like a regular rigid seatpost. In its shortest possible length, the 75mm travel Fall Line R is claimed to weigh just 335 grams. Add in the remote and cabling, and you’ve got a claimed weight 385 grams. The Fall Line R can be trimmed to length to help shave off unnecessary grams. 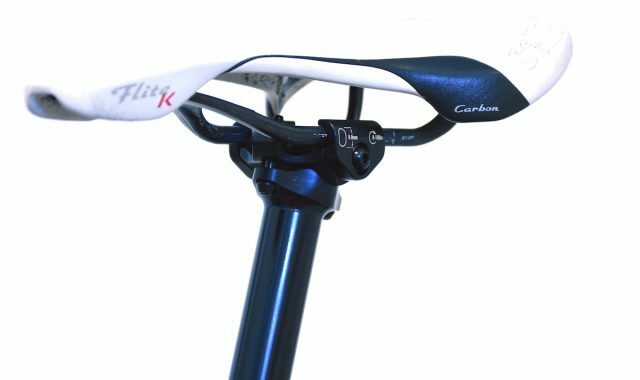 If you don’t want to cut your new dropper seatpost, you’ll still have a seatpost that only weights 386 grams, or 436 grams once you factor in the remote and cabling. 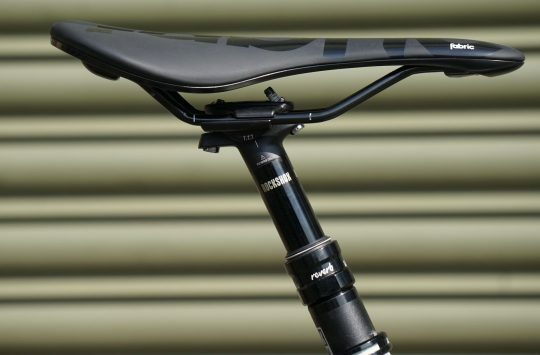 9point8 claims there is no weight limit with the new Fall Line R dropper post, and that the weight savings have been achieved by more extensive machining of both the internals and externals. Inside, the post still uses 9point8’s mechanical DropLoc™ technology that allows for infinite adjustability of the travel. 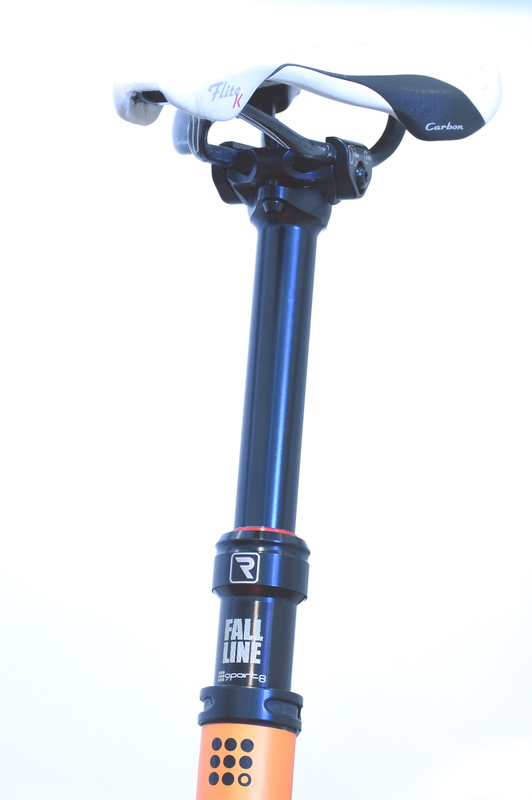 Weight has been shaved elsewhere too, but the 9point8 Fall Line R still doesn’t have a rider weight limit. 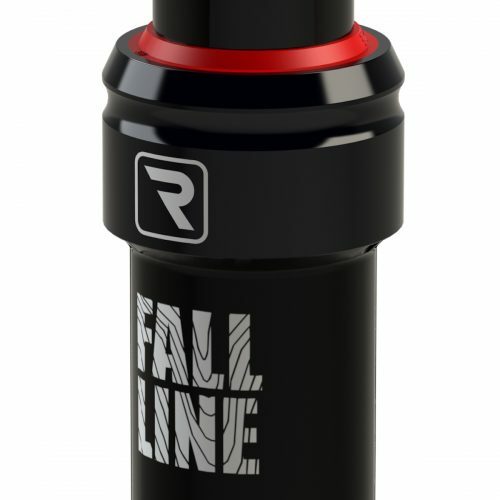 “The Fall Line R is just as strong and reliable as all our regular Fall Line droppers. Weight reduction has been achieved through rigorous engineering, careful attention to the architecture of the post, and precision machining. 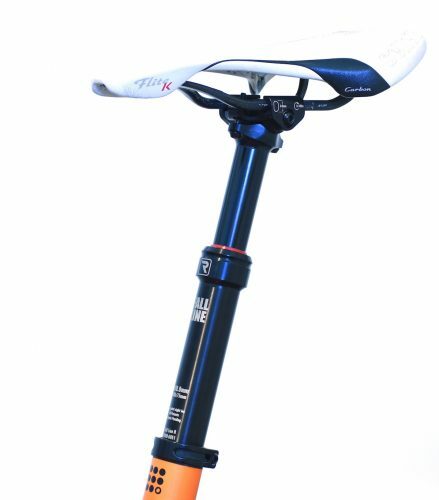 There is no rider weight limit for the Fall Line R. Cross country racing is the obvious application of this new seatpost, but it will perform equally well on trail bikes and enduro; anywhere that reduced weight is desirable.” – 9point8. 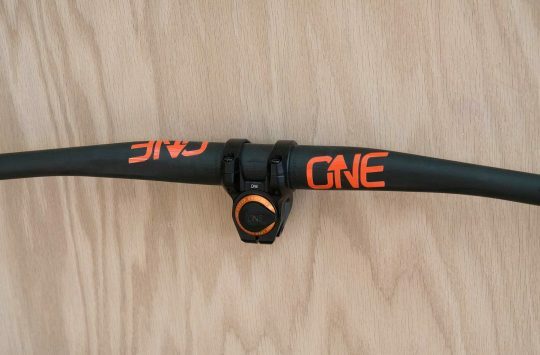 Same guts as the existing 9point8 dropper posts, which offer infinite travel adjustment. Available in 75mm and 125mm travel options this Autumn through 9point8. 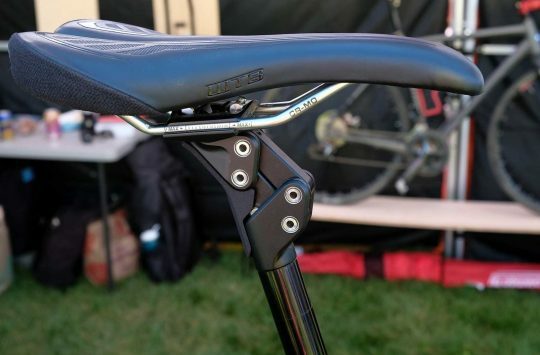 If the claimed weights are up to scratch, this could very well be the lightest dropper post on the market, though the total weight kinda depends on how much you chop off the bottom of the post. And for the XC racers out there who want some height adjustability without a mega weight penalty, that 75mm drop option could be enough to win them over. Otherwise the 125mm travel version looks ideal for XC and trail riders, and still comes in superlight. For more information on the 9point8 range, head to the 9point8 website, and we’ll get you more hands-on info when we see the crew at Sea Otter later this week. Not to piss on their bonfire – but the KS LEV Ci dropper at 125mm is 385gm. Weirdly enough the shorter drop LEV Carbons weigh more but they are an older design before they reconfigured the carbon layup.